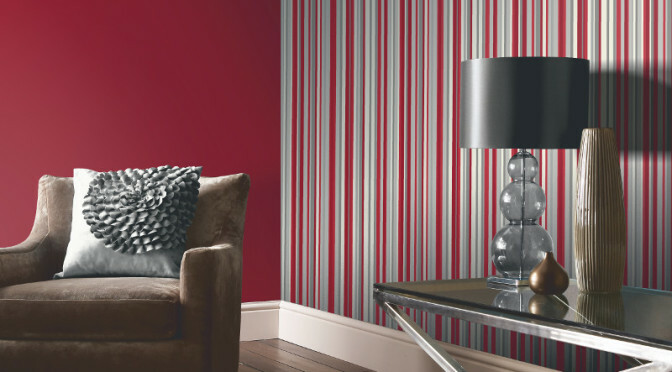 The Arthouse Sophia Stripe Wallpaper in Red has been specially designed to add both colour and interest to your home. This eye-catching wallpaper features a modern striped effect and comes in a classic combination of red for a great look. The Arthouse Sophia Stripe Wallpaper in Red can be used horizontally or vertically and looks especially good in a reception room or hallway. Team with coordinating paintwork and accessories to complete the look.